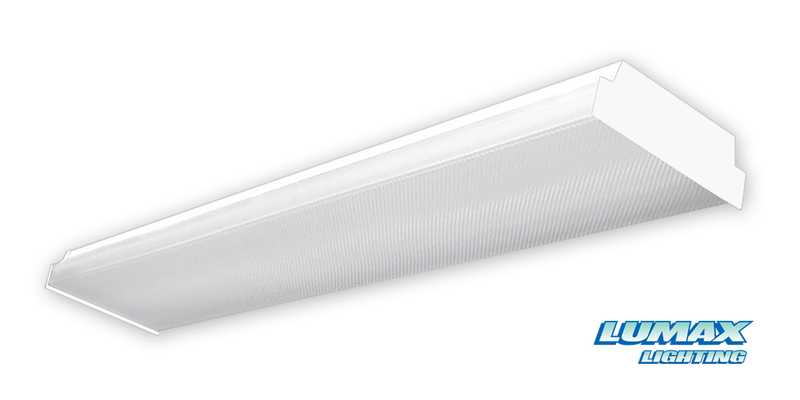 Low profile luminaire for commercial and institutional lighting. For individual surface or pendant mounting, or in continuous row for distinctive linear effect. Die-formed code gauge cold rolled steel housing, strengthened for rigidity and uniformity. Ballast cover easily removed. Knockouts on housing top and flush knockouts on ends for mounting and electrical connections. FA Lens – One piece extruded 100% frosted acrylic prismatic lens. Prismatic pattern on bottom exterior and linear prisms on interior sides for low brightness. OA Lens – One piece extruded smooth opal acrylic lens for low brightness. Self-hinging lens hooks onto full length of housing and may hinge from either side.